Welcome to the online home of the National Valentine Collectors Association. It is your source for updated information and images, links to other pertinent websites, and a supplement to the Newsletter. Now in its forty-second year, the purpose of the organization has always been to preserve and communicate the history of this beautiful material, and enable collectors to meet people who share their passionate interest. We encourage the enjoyment of all forms of Valentines, from antique and vintage, to all modern varieties, through informative articles, quarterly auctions, occasional meetings, and related information. In addition to the love and romance incorporated within this subject, it is a great resource for students of art and social history. We invite inquiries, and are happy to provide interviews, articles, exhibitions, and program speakers. The NVCA is proud to announce another wonderful collaboration with the Bodleian Library at Oxford University, United Kingdom. This is an exceptional addition to our Pinterest page, adding history and illustration to our body of knowledge, and increasing our pleasure of THE VALENTINE. "FASHION and DRESS: SATIRICAL and SENTIMENTAL"
The NVCA and the Bodleian Library at Oxford University, United Kingdom, have created a wonderful joint celebration during the month of February 2018. 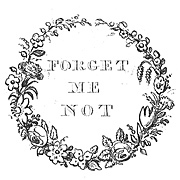 We are indebted to Julie Anne Lambert, Curator of the John Johnson Collection of Printed Ephemera at the Bodleian Library, who enthusiastically shares our passion for the History of the Valentine. 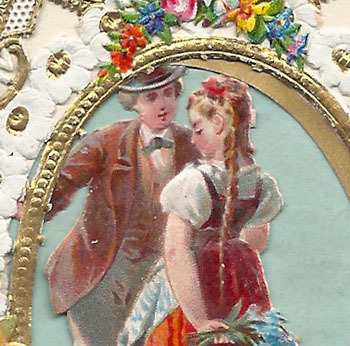 Our collaboration with the Bodleian Library at Oxford University continues, as Julie Anne Lambert, Curator of the John Johnson Collection of Ephemera, has created an amazing new Valentine experience for us. Over the past several years, an incomparable resource has been created – from alphabetically illustrating the various embellishments on Valentines, to Love in World War I, Rebus Valentines, and the Language of Flowers! Our auctions are no longer posted online. The beautiful electronic newsletters may be zoomed for details, and email scans are available upon request. Come visit our Facebook page, updated often!